Oh dear, Igglepiggle has lost his blanket! Can you lift the flaps to help him find it again? This chunky board book has lots of flaps for little fingers to lift. Toddlers will love interacting with their favourite In the Night Garden characters in this bright, vibrant lift-the-flap book. 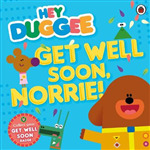 Packed with stickers of Peppa, George and all their family and friends, this title enables you to solve puzzles, colour and draw, and even find out how to make your very own dinosaur. 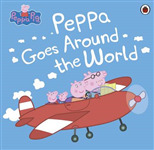 Peppa visits friends located across the globe in her very own aeroplane. With journeys to the South Pole, snowy mountain tops, the jungle and the desert, this is a colourful and action-packed Peppa adventure. 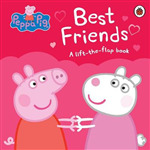 Lift the flaps to meet Peppa Pig and her family''s favourite friends and discover something that''s even better than best friends! When Roger can't fall asleep, Mummy Rabbit takes him to see Uncle Yawn, who knows just what to do. In this volume, children can join Roger on his journey and be lulled to sleep alongside their new friend. 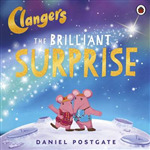 Tells the story of when a comet flies over the little blue planet, home of the Clanger family and friends. 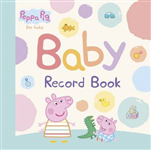 With space for personal details, family information, milestones and other key events, as well as photos, hand and footprints and even an envelope for important keep sakes, this book can record every precious moment in the first year of your baby''s life.